Get the idea of how I was feeling? So, I started a new ritual. I’ve always been super practical. And I still am. Now that I’m marrying the prayer with the practical, I’m receiving exciting results. In general, I feel more at ease. I’m receiving specific benefits too. Yesterday on my kids’ first day of school, despite all my best planning, I still struggled with how to resolve one kid scheduling issue. In the morning, I prayed as usual. Just the one above and a few other faves. Nothing even specific to my current dilemma. And by evening, a magic carpool appeared! (A magic carpool is similar to a magic carpet, but it involves the cooperation of more people and an earthly minivan). 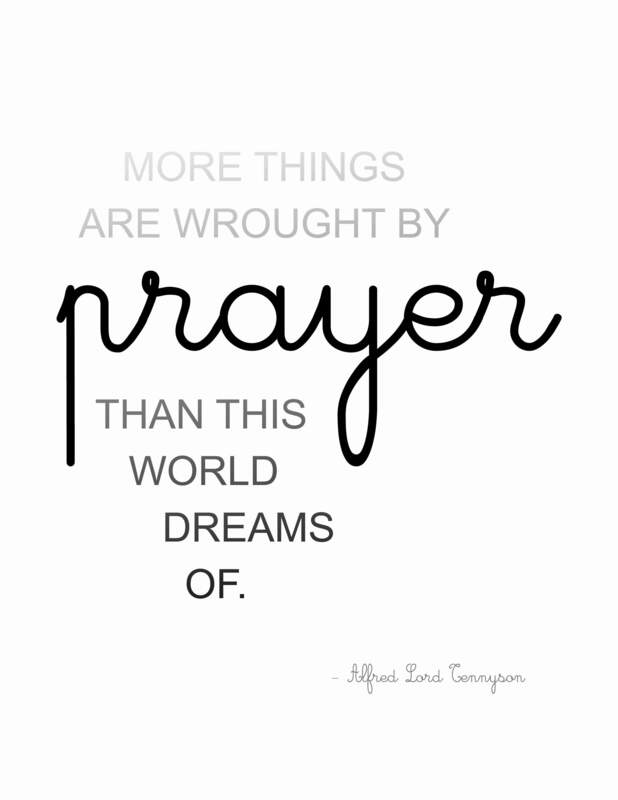 Perhaps prayer works. Have any good ones to recommend? Mary, thank you so much for taking the time to share these words of wisdom. I've never heard the Reiki principles before, and I will add them to my collection of reminders. Thank goodness, we know we are not alone. Debra, I'm usually the silent observer here, but today I really wanted to share my thoughts. I admire your courage in sharing such a personal piece of yourself (both poem and prayer). Somehow, admitting we pray in certain social or business circles makes us vulnerable, which in and of itself speaks volumes. I think that as entrepreneurs, responsibilities often (sometimes too often) weigh heavily on us. We're relied on constantly, whether by ourselves, partners or team, as the ultimate resource that will pull all the pieces together. It can be easy to lose ourselves in the feeling that 'everything' depends on us. 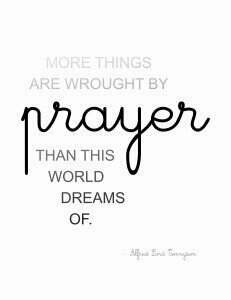 Through prayer we can remind ourselves that there is something bigger than us, whether that bigger something is God, nature or the universe itself. There comes a certain kind of relief knowing that our business and our worlds are just a small piece of a much, much larger picture – one that we contribute to, but aren't in charge of. It almost feels like flopping onto a big comfy sofa and kicking off our 'too-high-heels' after a long day. Ahh. Although I was raised Catholic, and still pray traditionally, I have the 5 principles of reiki hanging over my desk, which isn't technically a prayer but does help me spiritually. I can go weeks and forget that it's there, but when I have a rough day, somehow I rediscover it and find the reassurance and comfort I need with regard to whatever it is I'm struggling with that day. Just for today, don't get angry. Just for today, be honest in your work. I really identify with that prayer you created from the Big Leap. As you know I really enjoyed that book and received several powerful take-aways from it. Sometimes before going to sleep I say one of the prayers my mom used to say with me during my childhood. We were not especially religious at all but because of her I grew to love the Lord's prayer. And the 23rd psalm. Oh hysterical – a magic carpool is like a magic carpet :-). Love marrying the prayer and surrender with practical. I too have been amazed at what it does for me and my business. Love your prayer, Deb. thx for making yourself vulnerable. And as my idol Brene Brown always says, "vulnerability is the cornerstone of confidence." Love that. Oh Maryann, I must be way more confident than I realized! She's my idol too.